Stochastic computing (SC) is a digital computation approach that operates on random bit streams to perform complex tasks with much smaller hardware, with compared to conventional binary radix approaches. It is characterized by its use of pseudo-random numbers implemented by 0-1 sequences called stochastic numbers (SN) are interpreted as probabilities. Accuracy is usually assumed to depend on the interacting SN being highly independent or uncorrelated in a loosely specified way. This paper introduced a new approach of Stochastic and Analysis of Dynamical digital computation with ALU Design. In existing comparison of Floating point ALU Design is not implemented a Stochastic approach, So here the proposed will design to implemented a Stochastic Computing in ALU Design. In top-down design approach of ALU Design, four arithmetic modules, addition, subtraction, multiplication and division are combined to form a Stochastic ALU Unit. 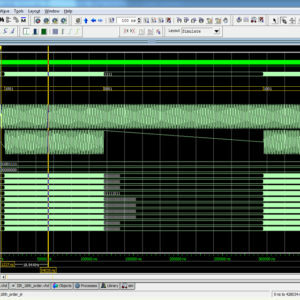 Each module is divided into sub-module with two selection bits are combined to select a particular operation. Each module is independent to each other. This modules are realized and validated using VHDL simulation and synthesized in Xilinx 14.2, finally shown the comparison of Area, Power and Delay. In this Paper we are approach a new design of Stochastic and Analysis of Dynamical digital computation in ALU Design using Stochastic numbers. The floating point operations have found intensive applications in the various fields for the requirements for high precious operation due to its great dynamic range, high precision and easy operation rules. High attention has been paid on the design and research of the floating point processing units. With the increasing requirements for the floating point operations for the high-speed data signal processing and the scientific operation, the requirements for the high-speed hardware floating point arithmetic units have become more and more exigent. The implementation of the floating point arithmetic has been very easy and convenient in the floating point high level languages, but the implementation of the arithmetic by hardware has been very difficult. With the development of the very large scale integration (VLSI) technology, a kind of devices like Field Programmable Gate Arrays (FPGAs) have become the best options for implementing floating hardware arithmetic units because of their high integration density, low price, high performance and flexible applications requirements for high precious operation. The term floating point is derived from the fact that there is no fixed number of digits before and after the decimal point, that is, the decimal point can float. There are also representations in which after the decimal point, that is, the decimal point can float. The number of digits before and after the decimal point is set, called fixed-point representations. In general, floating point representations are slower and less accurate than fixed-point algorithms from time to time; and virtually every operating system must respond to floating-point exceptions such as overflow representations, but they can handle a larger range of numbers that can contain a fractional part. For e.g. 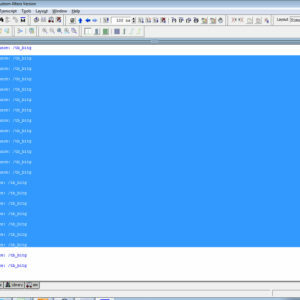 following numbers are the floating point numbers: 3.0, -111.5, ½, 3E-5 etc. Floating point describes a system for representing numbers that would be too large or too small to be represented as integers. Floating point representation is able to retain its resolution and accuracy compared to fixed point representation limited word size, and it not used random bit streams, and complex tasks. So here we introduced the technique of Stochastic computing (SC) is a digital computation approach that operates on random bit streams to perform complex tasks with much smaller hardware, with compared to conventional binary radix approaches. It is characterized by its use of pseudo-random numbers implemented by 0-1 sequences called stochastic numbers (SN) are interpreted as probabilities. Accuracy is usually assumed to depend on the interacting SN being highly independent or uncorrelated in a loosely specified way. This paper introduced a new approach of Stochastic and Analysis of Dynamical digital computation with ALU Design. In existing comparison of Floating point ALU Design is not implemented a Stochastic approach, So here the proposed will design to implemented a Stochastic Computing in ALU Design. 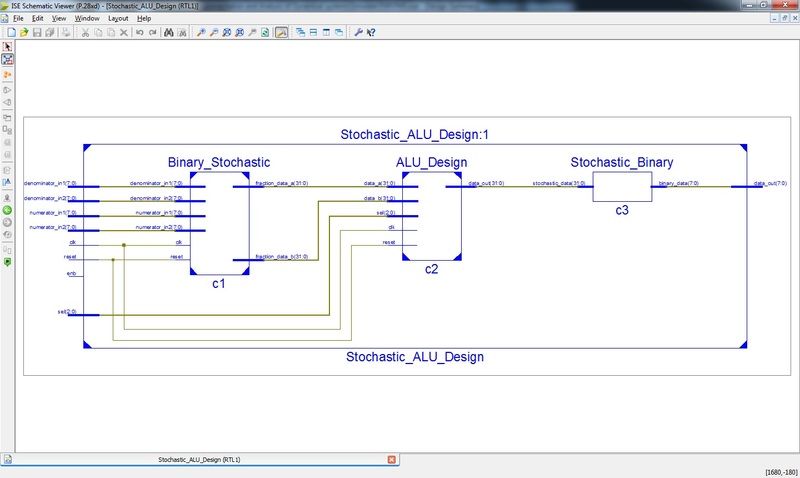 In top-down design approach of ALU Design, four arithmetic modules, addition, subtraction, multiplication and division are combined to form a Stochastic ALU Unit. Each module is divided into sub-module with two selection bits are combined to select a particular operation. Each module is independent to each other. This modules are realized and validated using VHDL simulation and synthesized in Xilinx 14.2, finally shown the comparison of Area, Power and Delay.